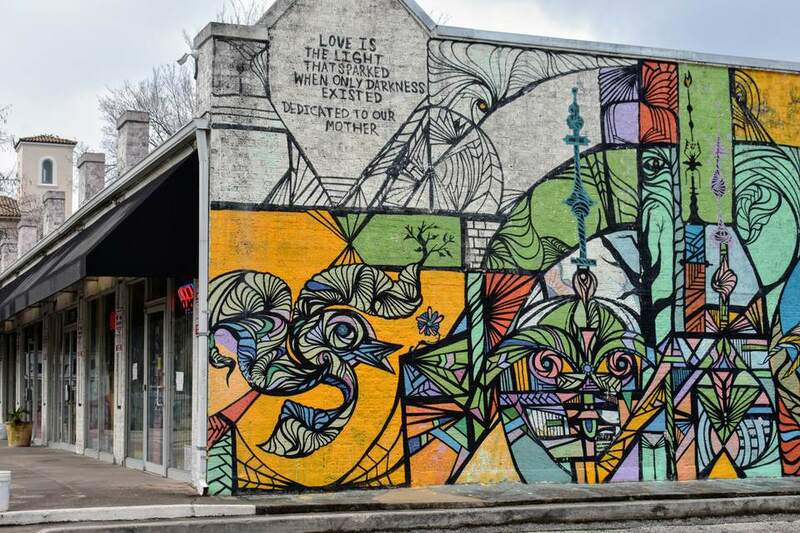 Nearly 100-years-old, this centrally-located Houston neighborhood of a scant four square miles, is one of the most established, culturally diverse sections of Houston. Generally speaking, Montrose is enclosed by Allen Parkway to the north, Highway 59 on the south, Shepherd Drive on the west and Bagby Street on the east. Housing in Montrose is as varied as its populace, with bungalows and cottages peppered in among upscale renovated houses and townhomes, and tends to be one of the most expensive neighborhoods to rent or buy in the city. The average listing price for a home was around $680,000 in 2017, with prices ranging from roughly $250,000 to nearly $3 million. The typical resident of Montrose is an unmarried, college-educated renter in their mid-to-late 30s, with an income of about $68,000 per year. Recent decades have shown huge shifts in racial and cultural demographics, including a growing LGBT presence in the community. The nightlife scene is a lot like the residential makeup: diverse. Dive bars like Lola’s Depot (2327 Grant), West Alabama Ice House (1919 West Alabama), and Poison Girl (1641 Westheimer) co-sign the area’s artsy feel. Dance clubs and lounges like Numbers Night Club (300 Westheimer), Boheme (307 Fairview) and Etro Lounge (1424 Westheimer) provide a bit of sheen. And LGBT-friendly bars like Rich’s (2401 San Jacinto) and South Beach (808 Pacific) are near guaranteed to be packed on weekend nights. Montrose also offers up an abundance of eateries for your exploitation, with dozens of great locally-owned places to choose from. If you’re looking for Mexican, Hugo’s (1600 Westheimer) and La Mexicana (1018 Fairview) are among the many available. Looking for breakfast or brunch? Hit up Baby Barnaby’s (604 Fairview) or Empire Café (1732 Westheimer). For date nights, try Uchi (904 Westheimer) or Just Dinner (1915 Dunlavy). Shopping in Montrose is a must-see for those with an eclectic taste. There’s a renowned antique store presence, with locales like Antique Pavillion (2311 Westheimer) and Maison Maison (2129 Westheimer) offering up the finest in used relics. This area is also a great place to hunt for vinyl records and audio equipment. The Menil Collection (1515 Sul Ross) is a museum that houses the private art collection of founders Jean and Dominique de Menil.